It’s officially polo shirt weather but you’re probably still needing a layer here and there. 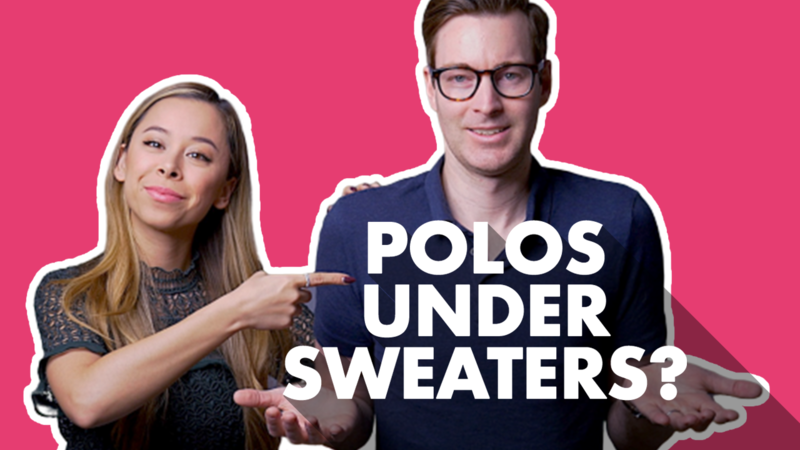 In this week’s edition of 2 Minute Tuesday we’re going over a few rules when it comes to layering a sweater with a polo shirt. Here’s how to do it right. Wear a button up dress shirt or an oxford underneath a sweater, a polo shirt shouldn’t be worn over a sweater as the collar of the shirt doesn’t have enough structure. This goes for all types of sweaters – crewneck, v-neck, and shawl collar sweaters. If you do want to add a layer over a polo shirt, try a bomber jacket or Harrington jacket instead, they are better suited to the style of a polo shirt. A blazer can be worn over a polo but we recommend sticking to a polo that has a neat, structured collar and stays put underneath your jacket. No matter what the season or dress code, chinos are an essential style staple. Here are three ways to style your chinos for casual, business casual, or dressy situations! Don’t forget to check out our chino fit guide for more details! 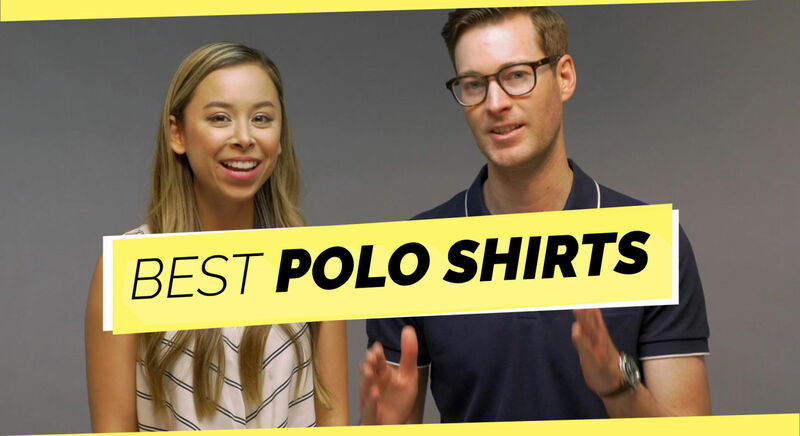 We’ve talked about polo shirts in the past, and for good reason, they’re one of my favorite elevated casual items, especially for the Spring and Summer months. Here are our style tips and picks for the best men’s polos for 2018! Don’t forget to check out my picks below and for more info on fit, read our polo shirt fit guide.